Good Ground, LLC is now Good Ground Miniatures, Inc.
Our recent move to Georgia has necessitated a minor change in name. Good Ground, LLC was, believe it or not, already taken. We will attend our first show as Good Ground Miniatures this weekend. Good Ground is proud to associate our company with HMGS South. We shall attend HMGS South's Flag Ship convention, HURRICON, this coming weekend. We will have all our new figures in stock including the full range of Between the Lines Models, Cracker Line and Plank Road Miniatures and B Company Bases. To add value to all our ranges, we now offer a full selection of all available barrels for the field and siege carriages for both Cracker Line and Gourmet Guns. We also offer three different gun crew sets, each available in both Kepi and Slouch Hat. Our new Zoauves, Iron Brigade and Early-War Militia have been added to the Plank Road range. Wilder's Rifles, Dismounted Cavalry and Western Personalities are new to our Cracker Line range. Come see us at Hurricon to talk about all the new and coming figures at Good Ground Miniatures. Don't forget to visit our Facebook page. "Like Us" on our new page, and get a free foot officer figure, US or CS or Zouave, at the show! Greetings to all my friends and customers. Over the last few years the number of codes available on my website have grown very quickly. I have added new figures to the site in a regrettably, rather convoluted way. My lovely spouse and assistant often rolls her eyes at the vast number of codes on our flyers. The final straw was a customer at Historicon that made the statement, "your codes drive me crazy". Therefore, I have undertaken a project to reduce the number of codes by selling most of the figure types as a single item, with options for pose and headgear. So this weekend I began to paint some of the new gun crews and personalities to begin the process. I plan to take some better pictures after the process of re-coding is complete. In doing so, I have consolidated things such as gun barrels and crew into a few more easily understood options. This also means that guns will come with all available barrel options for the appropriate carriage. Simply order the gun carriage and the crew you wish and chose Kepi or Slouch Hats. No need to select the type of barrel. Good Ground's Game for Hurricon will be Pea Ridge, Leetown. This is a long process, but I will have it done in a few weeks. From this point onward, I shall take this approach with all new additions to my line. Don't forget, Good Ground will be at Hurricon in Orlando, FL September 24-27. 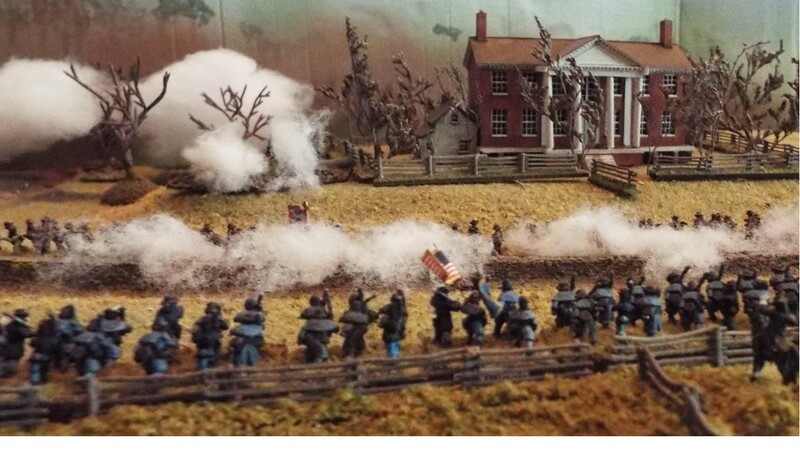 Finally, Good Ground will team up with Fire & Fury Games to run my huge Fredericksburg Scenario using Fire & Fury's pending new Brigade level rules. These are due out at Historicon next year to be followed quickly by a new scenario book penned by yours truly covering eight new scenarios for the revised new Brigade Rules. 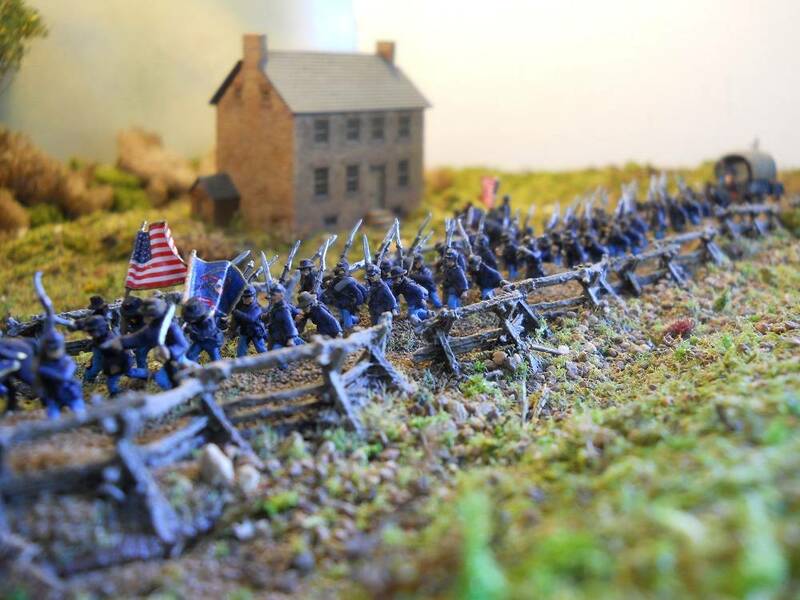 Good Ground announces our next set of figures for the Eastern Theatre of the American Civil War. 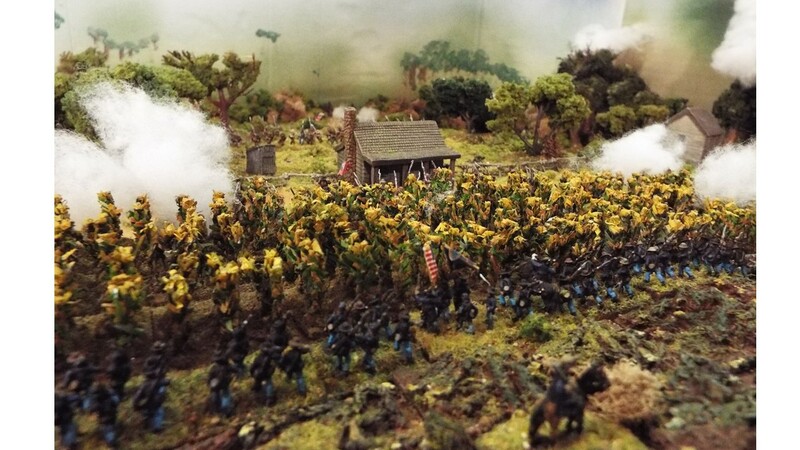 They are of course, Berdan's Sharpshooters brandishing their Sharp's Rifles in skirmish poses. I modelled these figures to emulate the famous work by Keith Rocco. 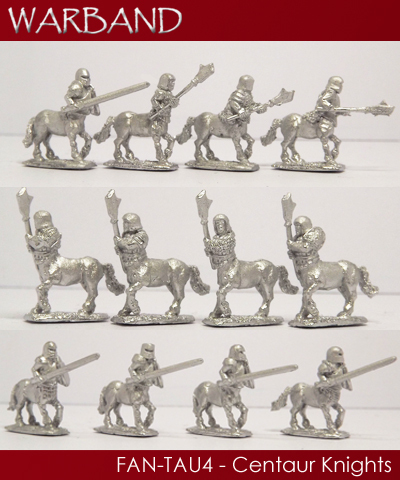 These will go into the same mould as our Irish Brigade figures and should be available on our site by mid-October. The Irish Brigade are modelled after the famous work "Faugh au Ballagh" by Don Troiani. Both sets were sculpted by the talented Robi Baker. We are also bringing a set of casualties and surrendering figures to you some time later in October. We now have the Zouave Regimental packs up on the site along with three gun crew poses in your choice of Kepi or Slouch Hat. Many new items are planned and we will be sure to announce them here on TWW! Also now available on the site are a three different types of gun crew in either kepi or slouch hat. Again, you should specify choice when ordering. 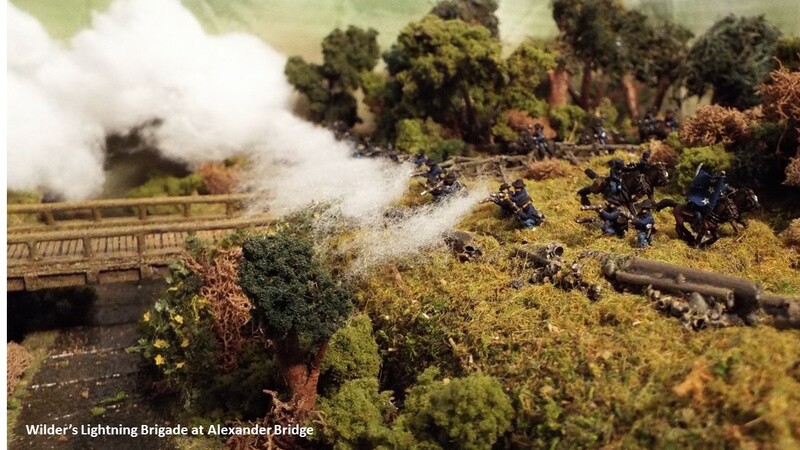 The gun crew are available firing, running up the piece or loading. 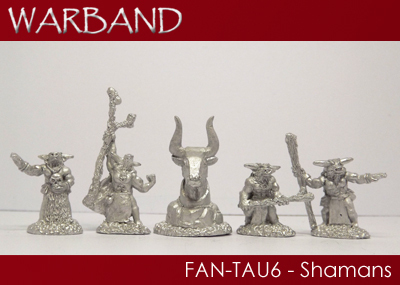 Each set comes with a gun, eight barrel choices and a crew of four. Finally, Good Ground will be attending Hurricon in Orlando, FL. Hopefully, we will see you at the booth! 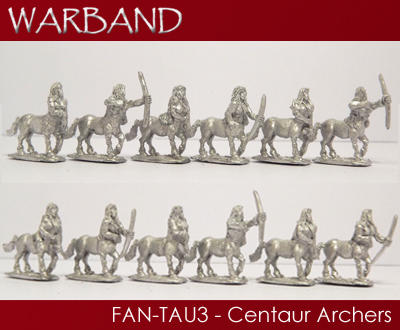 Finishing up our hat-trick of new 10mmWarband ranges during August, we've now got the highly anticipated Taurians ready to go! The previous Minotaur ranges had a nice variety of poses, so Techno has made some minor tweaks to these to make them all slightly different. 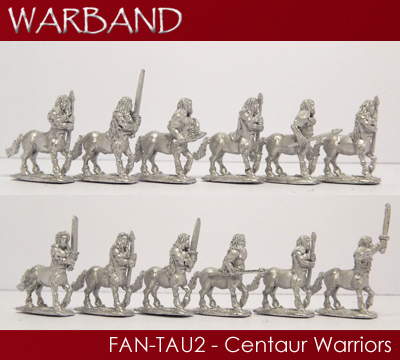 The Centaurs on the other hand have been completely overhauled, with more pose variation, more weapons, and also better bows! 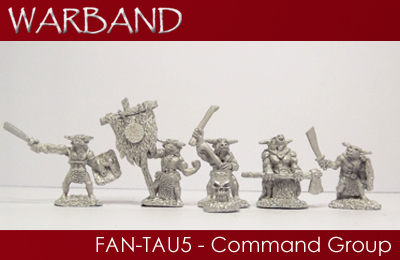 And to finish the range off, we've got some excellent new Command and Shaman packs, including a fantastic bull-head runestone! 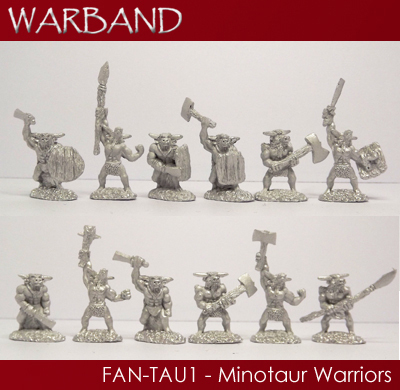 That's it for the Warband ranges this month, we're working on the Wood Elves next so we're hoping to have those ready for release in September. The next Pendraken goodies ready to hit the website will be some new vehicles and the rest of the Napoleonic British range!